These are propaganda posters addressing world's Muslim populations, which a Soviet visual agitation artist might create if he were to do it from the American perspective. They could also be turned into a nice video. All we'll have to do is to take an existing jihadist video and do a voice-over with the Arabic accent. As soon as we have time and sufficient encouragement. Forget Jihad! Improve local communities! 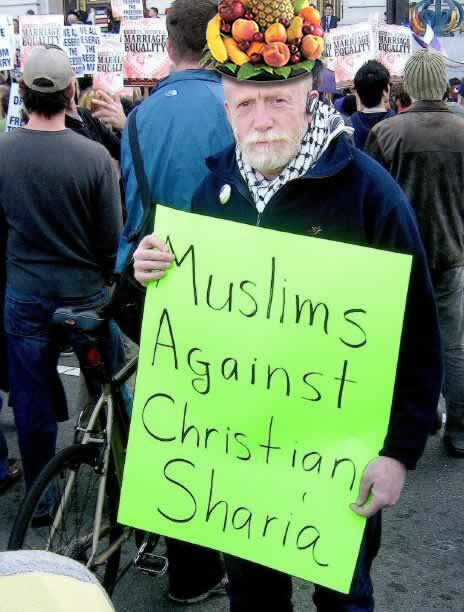 Muslims of the world! Get off your lazy asses and do something useful to improve your lives instead of blaming America and the West for your own backwardness! Forget Jihad! Advance quality of life! Fellow Muslims! Fight for democratic reforms and smaller government! Promote rational behavior! Advance free markets, the rule of law, individual and property rights! Demand the separation of mosque and state! Abandon the backward Sharia law! Encourage reason and logical thinking! Support free exchange of opinions and, for Allah's sake, teach your children to be industrious, honest, and responsible! If we do all that, in one generation we will catch up with the West, and if we still want to fight them, we can do so as equals - on the arena of ideas, technology, art, and quality of life - honestly and with an open face! My name is Saddam. Did you forget about me? I tried. Allah knows I tried. I tried to make Iraq in the image of the Soviet Union. Don't you remember?I was the most progressive of all Arabia. The Ba'ath party was the one most progressive and socialist party there. And then that Bushitler came along and destroyed my beautiful glorious Socialist empire. No one, no one knew the use of shovels, as I knew the use of shovels. I was the king of the shovel empire of both Macedonia and Arabia. I was the great rejoinder of two vastly different civilizations--one who believed in the five caliphs--the other who believed in the nephew of Mohamed. Who else could have done this but me. If this had not happened, I would now be visiting the Great Hussein in the White House. I would be the one sleeping in the Lincoln bedroom, and feasting on Kobe beef with your Glorious Leader. You will all rot in hell for what you did to me. At least my 20th cousin, twice removed now has the power over the evil Amerikan Empire. He will vindicate me. He will restore my reputation to its former glory. Long live Hussein Obama. Long live the king. Unfortunately, the current administration and pop-culture (as exemplified by Muslim Rage Boy's back-up singers in the music video from Red Star) are unwilling to tell a significant portion of the Muslim community that they are acting like Seventh Century savages. The social-progressive world-view of blaming America first absolves the Jihadists for Islam of any responsibility. The social-progressives conveniently forget that the Jihadists were constantly attacking American targets during the Clinton Administration. Things won't change until the Islamic Jihadists starting lobbing nukes around. Frankly, the parallels to the 1930's and present day are stunning. I personally think that the Obama Administration is going to precipitate a depression and in 5 to 10 years we will be at war with Iran and its allies (which may include Russia). Not enough Americans realize that we are in a fight for survival, yet. I hear you. But please be advised that we are now trying to introduce a new, shorter, and more progressive term so that you won't have to spell out "social-progressives" every time. The new word for them is "progs." If you prefer to call them "social-progressives," you may want to consider "soc-progs." Bill O'Reilley seems to like to talk about "secular progressives," so he can now save his breath and air time by saying "sec-progs." Do you remember how quickly the progs had introduced and popularized the term "neocon"? You never heard it before and then - BAM! - you wake up and all the media is using it as if the word had been in the Webster Dictionary for at least a hundred years. 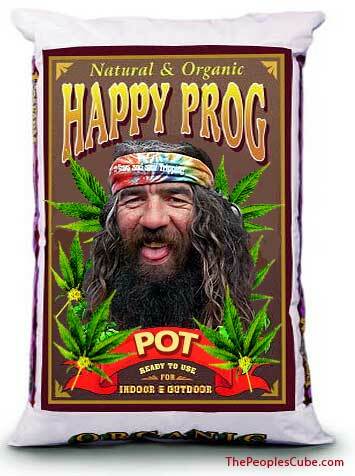 PROG is a great word. Rings so many bells. It can be easily used in literature. Consider the title, "A Tale of the Prog and the Neocon." Comrades, I've shouldered a shovel and I've carried a gun. Let me tell you, strutting around with a gun is way more fun. Nobody feels heroic digging ditches. Nobody will sing songs about your bravery. Allah doesn't promise 72 virgins for being the best plumber or carpenter you can be. There is nothing exciting or adventurous about building a bridge. Nietzsche said "There two things men crave, danger and diversion. That's why real men desire women, for they are the most dangerous playthings"
Oh, hi there Uncle Saddam. It's been a while since we last had a little chat. I remember it was when I came visiting and you took me on a tour of your torture dungeons for Enemies of the People. By the way, thanks for leaving your throne to me. It's totally badass. Progs is brilliant Comrade Red Square! Progs it is! Like a gift from doG! I guess I should start a new thread for these, but I'll post it here for now. Glorious Comrade Red Square! What more could anyone say to these most equal designs! 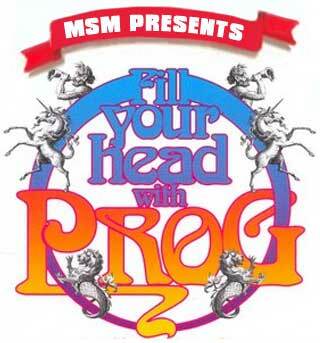 And you can read all about it in the next edition of the prog newspaper of record, Progda. Comrad Square, I have gone and purchased several shovels in assorted styles and shapes, including one with a peoples i-pod in a nice Stalin Red, from the peoples commissary of course, after the inspirational progressive displays you made using the Peoples photoTruth-i-fying software. Forgive me but I feel compelled to start digging! 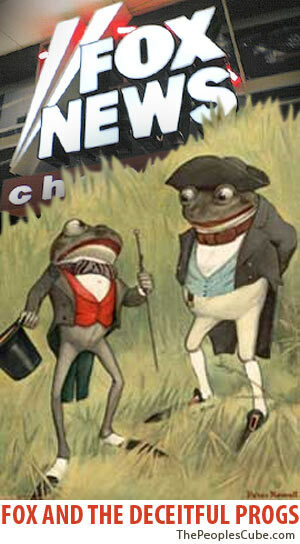 If only for the reason that we need more prog frog propganda for The Party(TM), BUMP! Nietzsche is an IDIOT and so is this comrade, although he is QUITE THE PROG and we must admire him and sing his praises for comrades, he is everything we desire! Is this Bruno? This is something Obama could've said in his Cairo speech to the Muslims but didn't. Maybe it's because al-Qaeda is still holding his teleprompter hostage. I don't see no fruit on 'is 'ead, so, nope, no Bruno. Comrade Betinov... I beg to differ. Look again. Into the LSD again eh comrade? This is not Bruno. This prog is not wearing a yellow knee length dress while singing along to Babs Streisand's greatest hits playing on his iPod. Also, he does not appear to be the type to have more dark black body hair than a Bear-skin rug.